Swarfega is once again on the hunt for the Toughest Trade in the UK! Across January and February, Swarfega will be challenging you to post a picture of you or a colleague battling your toughest task on their Facebook or Twitter page with the hashtag #ToughestTrade and a short reason why your trade should win 2019’s accolade. After a hard-fought battle, the 2018 title was handed to Russell Ennis, representing plasterers with his mammoth task of plastering a huge vaulted ceiling. Swarfega is on the hunt again, to find out if plasterers can defend their title or if they’ll be defeated by a competing trade. Garage Technicians were just pipped to the post last year, so make sure to shout about your trade and send in a picture to Swarfega showing why being a mechanic is as tough as it gets. At the end of February, using their Tough-O-Meter, Swarfega will judge each picture and choose the one showing the toughest task. 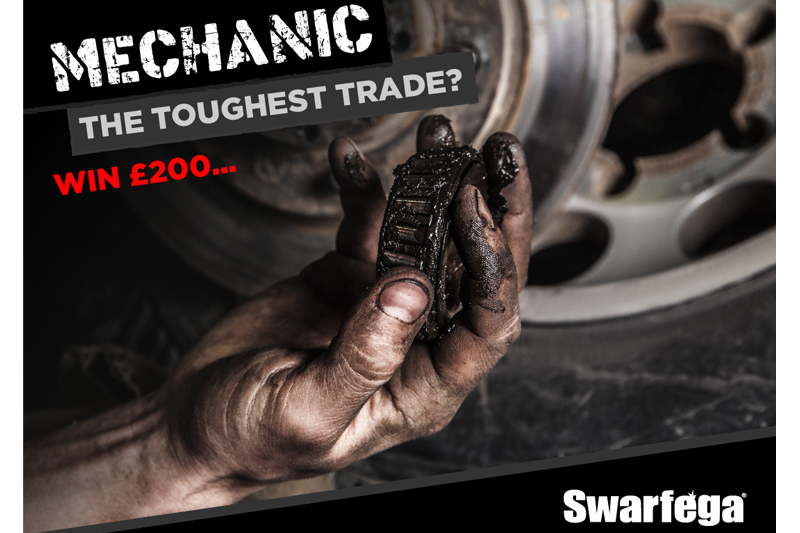 The winner chosen will win £200 in Amazon vouchers and their trade crowned Swarfega’s New Toughest Trade for 2019. The first 10 people to post their toughest task picture will receive a pack of TOUGH by Swarfega Gift Packs, so get moving quick and post your images on Facebook and Twitter. One TOUGH by Swarfega Gift Pack per entrant for the first 10 participants, multiple entrants by one person will only receive one pack of TOUGH by Swarfega Gift Pack. Swarfega will contact the Gift Pack recipients by direct message to arrange delivery within 28 days of competition entry. Entrants can enter as many pictures as they wish. The winner will be chosen by Swarfega at their discretion. The winner will be contacted by direct message. Previous : PMM February 2019 – OUT NOW!